In this study we examine the classification accuracy of CHRIS/PROBA data, acquired in the monsoon and dry season. 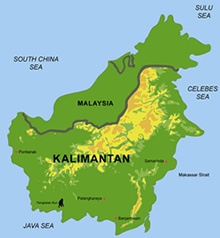 The test site is a typical peat swamp landscape located in Central Kalimantan, Indonesia. We focus on eight specific land use/cover categories from a single view angle and from a multi-angular perspective. 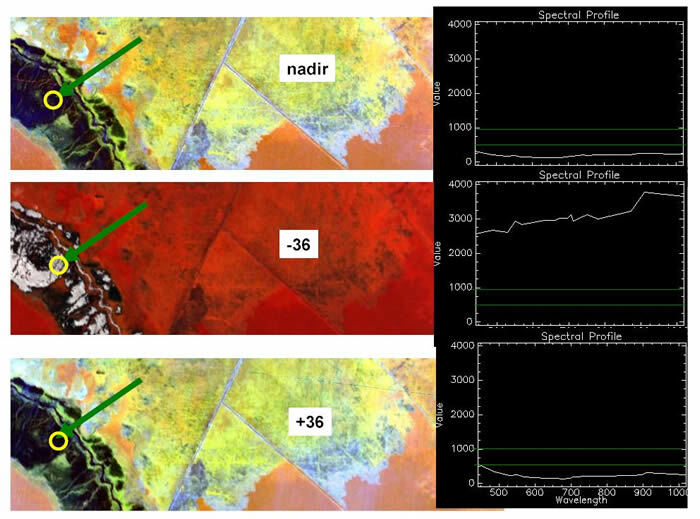 We show that (1) reflectance changes from the monsoon to the dry-season in the visible were small and slightly positive for the forestry classes, whereas slightly negative for grassland classes; (2) the reflectance increases accordingly to the successional stages for a given angle and were higher in the dry season; (2) reflectance values increase in the near-infrared with decreasing leaf area index (LAI); and (3) classification results using a multi-angular approach were statistically different at a 5% level of significance from a single view approach showing that anisotropy information can improve the differentiation between different Peatland landscape classes. 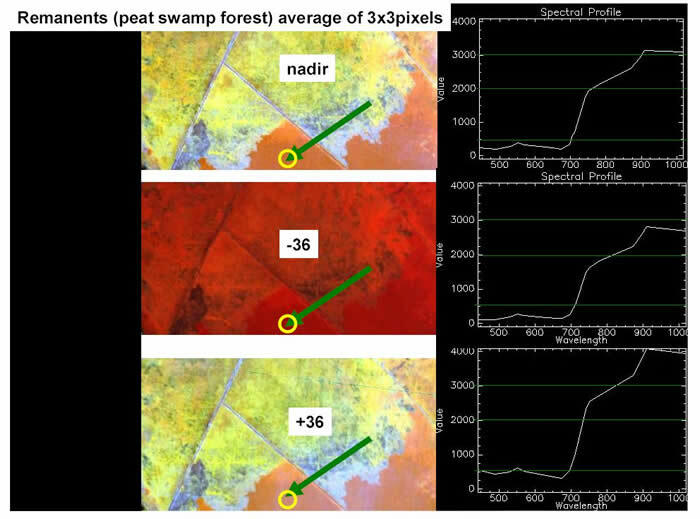 Keywords: view angle effects, anisotropy, Peat Swamp forest, CHRIS/PROBA.